I recently listened to a great episode from NPR’s TED Radio Hour podcast. The episode, “Wired for Altruism,” features TED Talks that explore questions like: Are certain people biologically pre-conditioned to be more altruistic? What happens when people who have committed horrific crimes become gentle, dedicated caregivers to the frail and vulnerable? Are some people just naturally more altruistic than others? 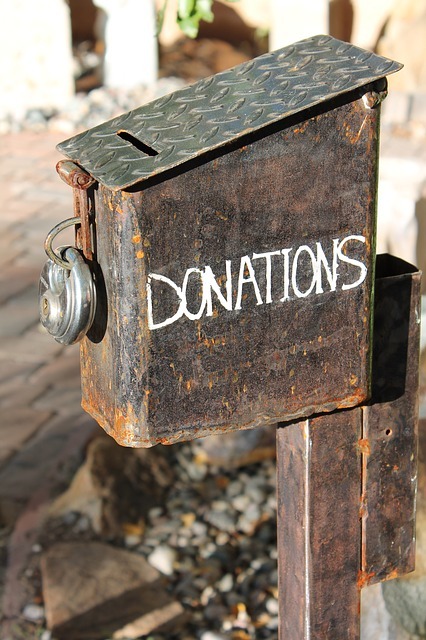 Are some types of donations better than others? Can altruism be taught? The podcast got me thinking about my own work as a fundraising consultant to nonprofits. So much of my work with clients, with members of the Small & Mighty Membership Program, and with others in the philanthropic sphere centers around how to convince people to give. What will activate their empathy? What will motivate them to make a gift? How can they feel more aligned with our cause, our organization, our clients’ needs, our values? I’ve even blogged about the brain science behind donors’ decisions. I am starting to wonder: How much of the work should be about convincing, cajoling, exciting, or inspiring donors? And how much of it should be about finding the right potential donors in the first place, potential donors who will be naturally inclined to give to the cause we’re talking/writing about? If the match is right, will the natural altruistic inclination do some of the work that the pitch or the proposal is trying to do? I’m influenced by what I’m learning in Marie Forleo’s B-school, an intensive training program that focuses on online marketing, brand position, and increased sales. I just finished a lesson in B-school focused on creating your Ideal Customer Avatar (ICA). This is a common practice in the business world, where you create as specific a profile as possible of your ideal customer(s) or client(s): demographics, interests, likes and dislikes, habits, fears, goals, and more. Learning about ICAs got me thinking about IDAs: Ideal Donor Avatars. Can nonprofits create an avatar of their ideal donor(s)? It could include demographics, like age, location, income, marital status, etc. But it also could include things like: Where do they like to eat? What books or magazines do they read? What do they do for fun on weekends? What are they most proud of? What do they worry about? What do they never want to tell anyone? Turns out, this isn’t an original idea. If you google Ideal Donor Avatar, there’s plenty of information to be found. Here’s where I’m putting together these two ideas: Altruism and Avatars. If nonprofits have a clear Ideal Donor Avatar, if they know who their ideal donor(s) are, they will know more about where to find them (in their communities, on social media, etc.) and how to connect with them. Nonprofits still will need to write compelling grant proposals and donor appeals, and they still will need to tell stories that bring their cause to life. But, if they are connecting with their IDA, the potential donors’ innate altruistic tendencies will be activated. Connecting with the right kind of potential donor in the right way will make that donor more altruistic toward the right organization or cause. Less time chasing donors who are totally disconnected from the nonprofit’s IDA means more time building stronger ties with the people who will care, and give, the most. The Genesis of Altruism in Humans?